British niche line Miller Harris has launched La Fumée Intense, the latest in her series of limited edition fragrances based on 2011's La Fumée (now known as La Fumée Classic). Others in the series include La Fumée Arabie (2012), La Fumée Ottoman (2013) and La Fumée Maroc (2014). The depth and potency of the entrancing ritual of incense and woods, rambling and undulating with intensity. A modern tribute to the Incense Road of Antiquity. These meandering trade routes transported precious Arabian frankincense and myrrh, Indian spices and exotic woods to Mediterranean ports. The notes include lavender, elemi, incense, cardamom, coriander, cumin, geranium, chamomile and patchouli. 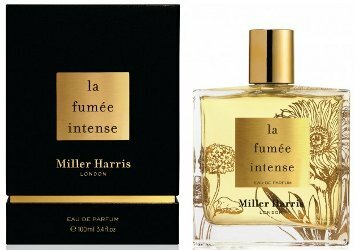 Miller Harris La Fumée Intense is available now from the brand website, £155 for 100 ml Eau de Parfum. Sigh – these all sound gorgeous!